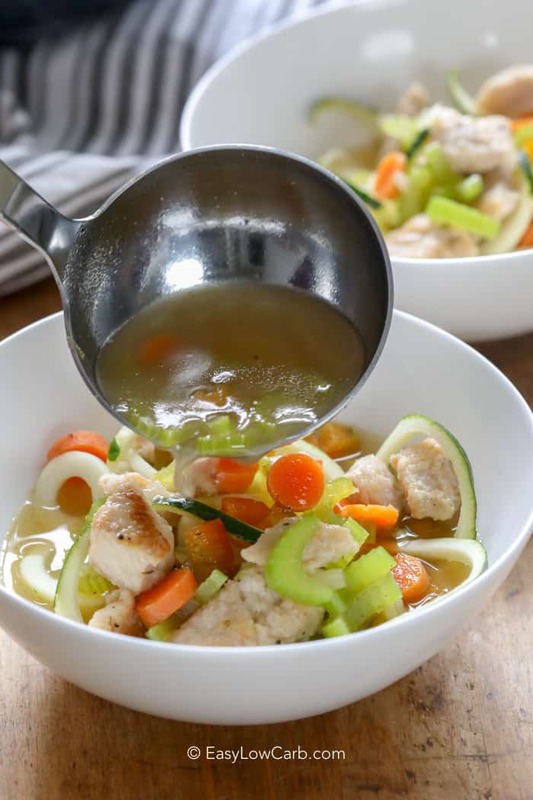 Low Carb Chicken Soup is the perfect dish for comfort! 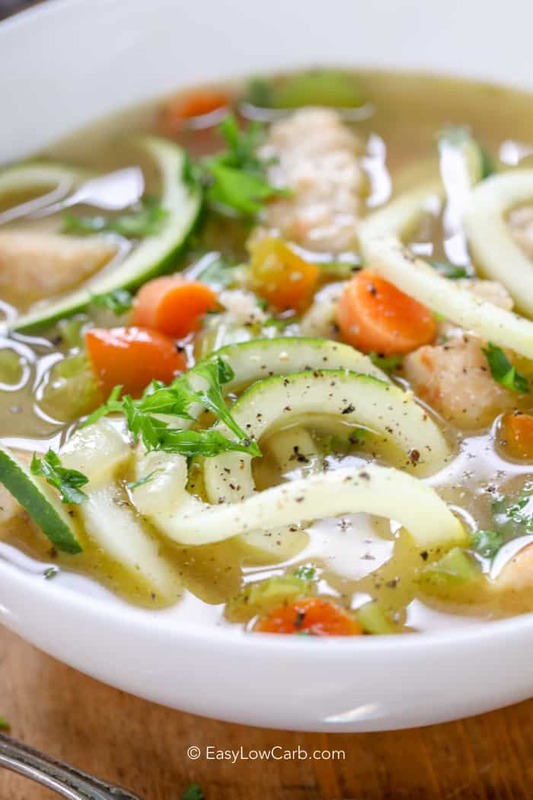 This easy zucchini soup recipe combines the goodness of chicken noodle soup without the carbs from the noodles! Made with zucchini noodles, or zoodles, this dish comes together easily and makes a one of a kind soup that the whole family will crave! Even in the summer, comfort food can’t be beat. 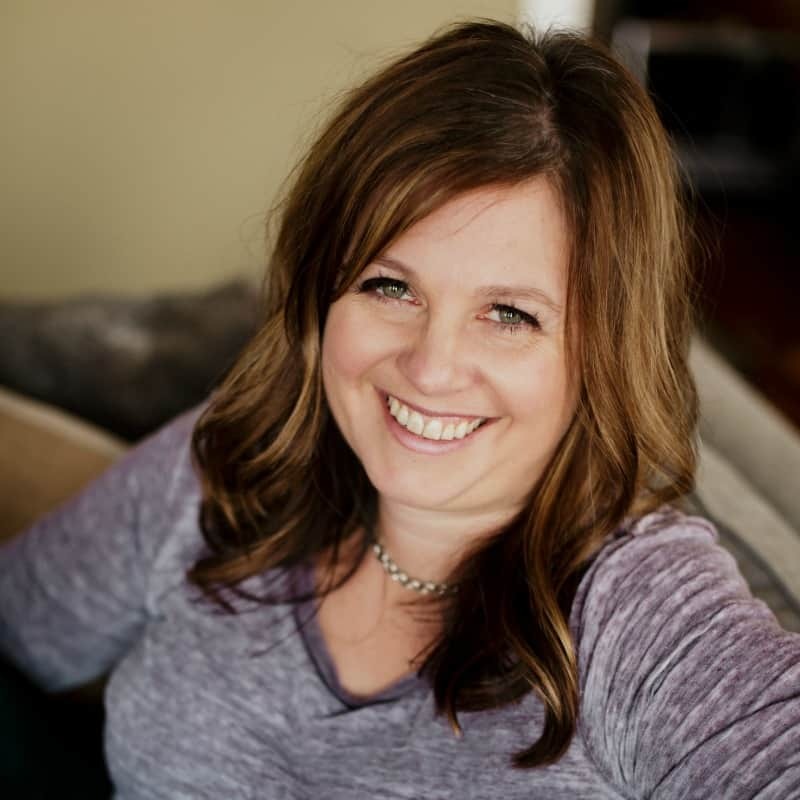 Just because you are eating low carb doesn’t mean you don’t deserve delicious food! Chicken noodle soup is a favorite of my tummy, but not my waistline! To satisfy my cravings and keep the peace with my jeans I came up with a hearty, healthy alternative that we call Chicken Zoodle Soup! This is the perfect recipe for just about any season! 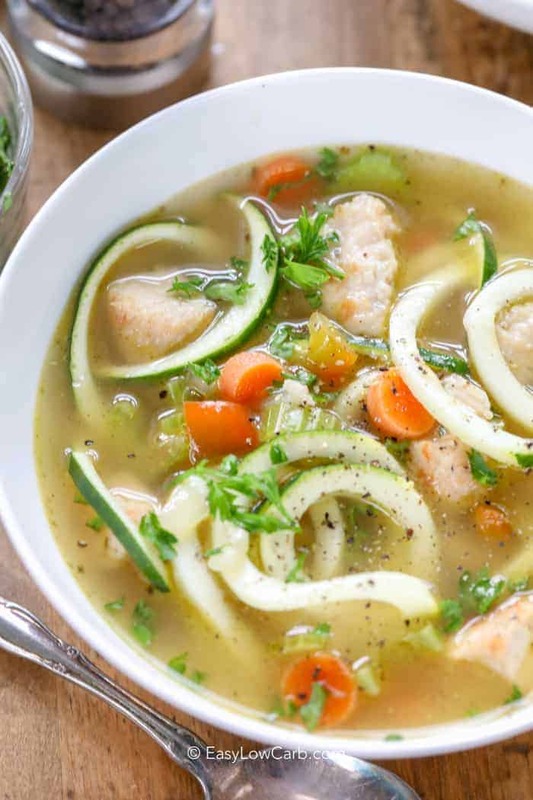 If I have leftover turkey, I love to turn this into a Turkey Zucchini Noodle Soup by swapping out the chicken and chicken broth for turkey versions – an equally ah-mazing recipe! I have also made this with rotisserie chicken and the flavor was absolutely incredible! This soup takes just 30 minutes, making it the perfect weeknight menu option. I love coming home from work and throwing this together quickly. One pot and 30 minutes to guilt free, comfort food heaven! To make chicken zoodle soup, start by frying up your onion until it is translucent. Add in all of your other ingredients except the zucchini and boil it uncovered for about 15-20 minutes or until your vegetables are tender. While it boils, get your zoodles ready. To make your zucchini noodles, use a spiralizer. You can use the smaller or larger blade for your zoodles keep in mind the zucchini noodles with the thicker blade will keep it’s shape better. If you don’t have a spiralizer, use a veggie peeler to cut thin strips or a mandolin to create zoodles! Be sure to not over cook noodles, they only take a minute or so and will continue cooking in the bowl (I most often add them to the bowl raw and put the hot soup over them. This keeps them slightly crisp)! When making this yummy zucchini soup, homemade broth is best but any broth will work. To make this recipe even better, you can add in any veggies you like. I use the standard carrots, celery, and onions combo, but you can add peppers, jalapenos, you name it! Just watch your carb count to keep it as healthy as possible! 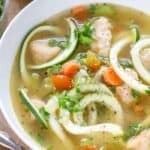 Chicken Zoodle Soup combines the goodness of chicken noodle soup without the guilt of the carbs! Spiralize zucchini using the medium blade (not the very smallest one). Set aside. Heat oil in a large pot over medium heat. Cook onion until tender. Add chicken (if raw) and cook until browned, about 5 minutes. Add broth, poultry seasoning, basil, carrot, and celery. Let simmer uncovered about 15-20 minutes or until vegetables are tender. Stir in zucchini noodles and let cook 1-2 minutes or just until slightly softened. For firmer noodles, place raw noodles in bowls and ladle hot soup over zucchini noodles. Allow to sit 2 minutes to soften. REPIN this Super Soup Recipe!